Watch Me is a clear and graphically designed clock by Rasmus Gottliebsen for Normann Copenhagen. Watch Me is characterised by its appealing simplicity and enriches homes with timeless colour richness. A colour palette that opens like a fan to show its various colours served as a source of inspiration for Rasmus Gottliebsen when designing Watch Me. The Watch Me clock gives every time its own colour. If you like it simple, then you’ll like the clocks in white, grey and black. 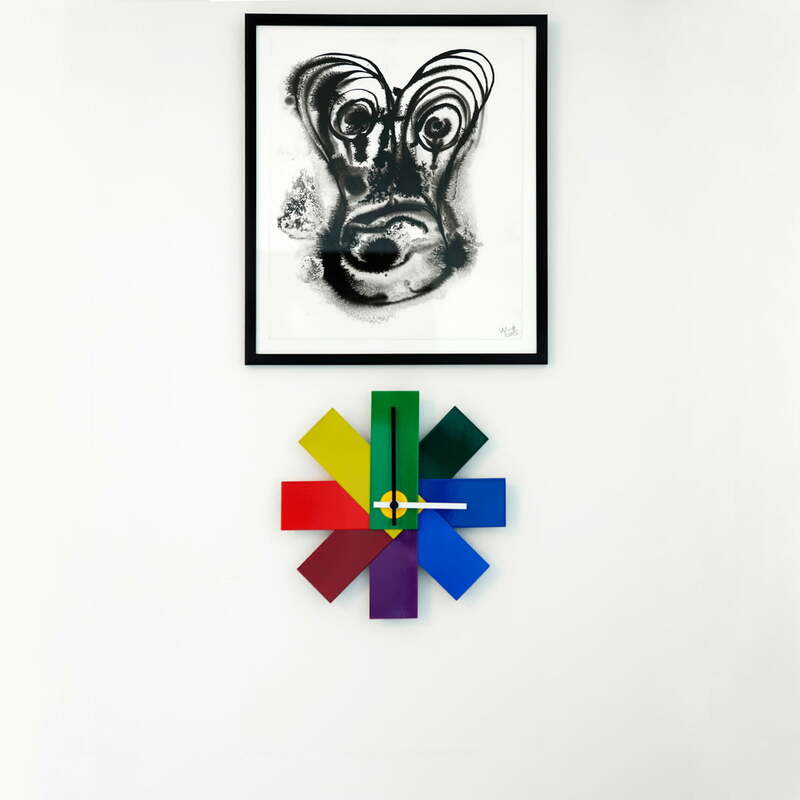 The Watch Me clock by Normann Copenhagen is made of powder-coated steel.It is operated on a standard AA battery, which is not included. The video shows how the Watch Me wall clock by Normann Copenhagen is packed and put into operation. 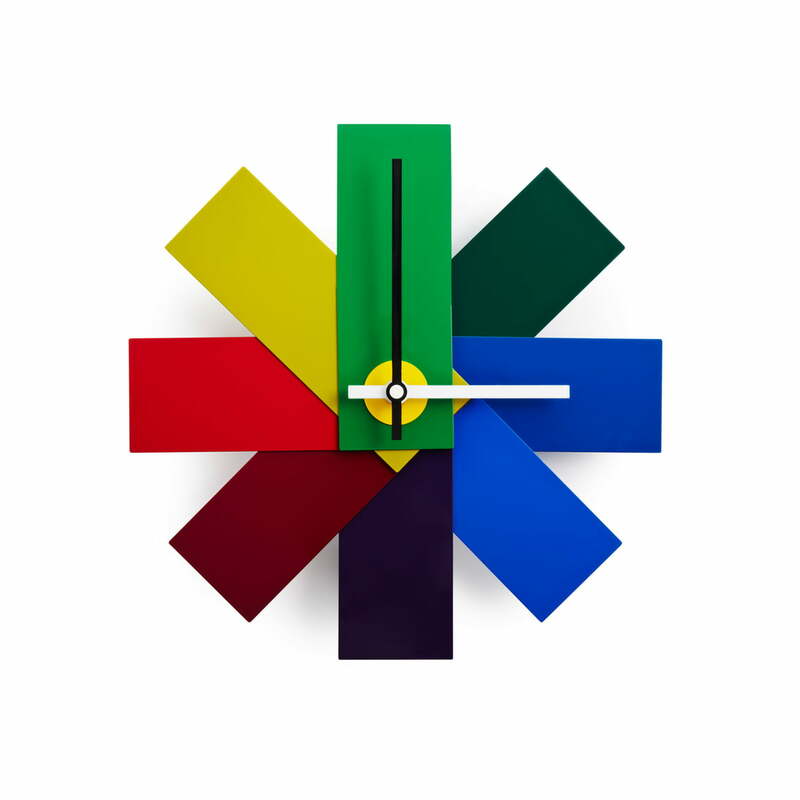 The colourful clock was designed by designer Rasmus Gottliebsen. He was inspired by a colour palette. A colour palette laid out like a fan for viewing the different colours, served Rasmus Gottliebsen as a source of inspiration for the design of Watch Me. The Watch Me multicolour wall clock gives each hour a different colour.